LifeProof is the latest innovation in vinyl flooring, available exclusively at The Home Depot. LifeProof Flooring features an innovative, highly engineered closed-cell foamed vinyl core that delivers rigidity and strength, yet is lightweight and easy to handle and install. Unique, on-trend herringbone design will transform your living space. The simple drop-and-lock end joints make installation a breeze. A solid virgin vinyl layer enhances durability and provides exceptional embossing detail and texture while an attached underlayment minimizes sound, is shock-absorbing, and enhances warmth and comfort under foot. This flooring is both phthalate-free and formaldehyde-free to ensure product safety. LifeProof Luxury Vinyl Flooring does not require acclimation. Valley Wood 7.5-inch x 47.6-inch Luxury Vinyl Plank Flooring (19.8 sq. ft. / case) LifeProof is the latest innovation in vinyl flooring, available exclusively at The Home Depot. LifeProof Luxury Vinyl Flooring features an innovative highly engineered closed-cell foamed vinyl core that delivers rigidity and strength, yet is lightweight and easy to handle and install. LifeProof Luxury Vinyl planks feature authentic embossing that looks and feels like real wood. The simple drop-and-lock end joints make installation a breeze. A solid virgin vinyl layer enhances durability and provides exceptional embossing detail and texture while an attached underlayment minimizes sound, is shock-absorbing, and enhances warmth and comfort under foot. This flooring is both phthalate-free and formaldehyde-free to ensure product safety. LifeProof Luxury Vinyl Flooring does not require acclimation. 100% LifeProof, 0% worries. 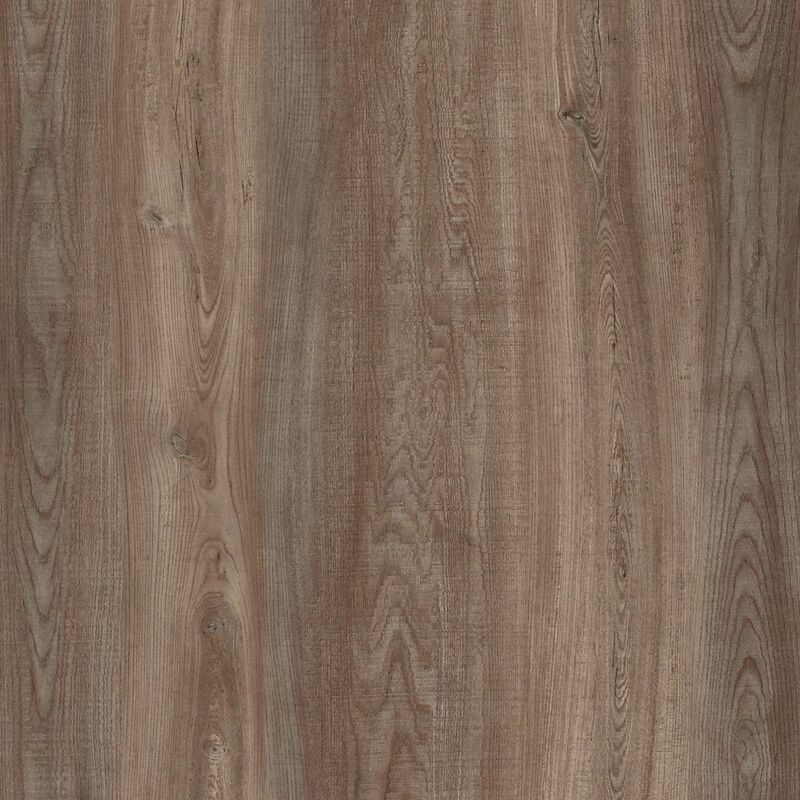 Valley Wood 7.5-inch x 47.6-inch Luxury Vinyl Plank Flooring (19.8 sq. ft. / case) is rated 5.0 out of 5 by 6. Rated 5 out of 5 by Caroline from Great product! Bought and installed it last weekend. Love it !! It’s only been a week so I cannot really comment on durability, but i can say it’s way better then laminate. We paid more for LVP but it was worth it. The photos don’t really do it justice (although the first one is closer to the actual colour). I would say it has a tad more grey in it, but it still has a nice brown hue. A good balance of brownish grey. We are very happy. Rated 5 out of 5 by Carm from 7.5 Inch x 47.6 Inch Valley Wood Luxury Vinyl Plan The product was exactly as described and arrived at my home in great condition as I had purchased it online and shipping was included. It went down easily but found using a miter saw and jig saw was the way to go. I tried to use a heavy duty utility knife but with no success. I would purchase this product again. Rated 5 out of 5 by Anne48 from Beautiful floor We had our vinyl flooring installed within a couple of days & are really happy with it. Everyone comments on how beautiful it looks & how great it feels on bare feet. Regarding the 5 degrees.... &nbsp;&quot;- temp remains within 5 degrees year round.&quot; &nbsp; &nbsp;That would be temperature(temp). Is this flooring scratch proof? We have a dog that has caused lots of scratches on our actual hardwood floor, hoping this will be resistant to that. Thank you for your question- The product is scratch resistant, not scratch proof We ask you keep dogs nails trimmed to keep from scratching the floor. This would PREVENTATIVE MAINTENANCE &bull; Protect your floor when using a dolly to move furniture or appliances. Protective sheets and/or plywood may be needed. Never slide or roll heavy furniture or appliances across the floor. &bull; Use flat floor protectors (nylon or felt) on all furniture legs. Periodically clean protectors to remove grit that may become embedded and cause scratching. &bull; Minimize abrasive material and dirt by placing mats on both sides of exterior doors and by using area rugs in high-traffic areas. &bull; Use protective mats beneath rolling chairs and keep furniture casters clean. &bull; Use NON-RUBBER backed mats that are labeled &ldquo;colorfast&rdquo; by the manufacturer. Non-staining, vinyl-backed mats or woven rugs should be used at all entrances to avoid discoloration from asphalt driveways and to prevent dirt and grit from being tracked onto your floor. Rubber and latex-backed mats use a chemical (antioxidant) to keep the backing from becoming brittle; it is this chemical that can permanently stain your floor. &bull; We recommend the use of a hard surface (non-studded), non-rubber chair mat to protect your floor from office chairs with casters. Light, rolling furniture should be outfitted with broad-surface, non-staining casters that have been engineered for hard surface floors. Such casters should be a minimum of 1&quot; (2.5cm) wide and at least 2&quot; (5.1cm) in diameter. &bull; Keep pets&rsquo; nails trimmed. &bull; Remove shoes with cleats, spikes or exceptionally pointy heels before walking on the floor.also apply to high heels and other pointed objects. How level should the concrete be if installing directly on a concrete floor in a basement? Would I feel imperfections in the concrete through the plank? There are currently some minor imperfections in the concrete floor. Can this product be used on top of the DMX 1Step product? Thank you for your question- We do not recommend sitting your cabinets on top of the floor. It will lock the floor in place and it needs to be able to expand and contract. You can put your appliances on top on the floor as they have wheels that evenly distribute the weight. Can this flooring be installed over a laminate floor? Thanks for your question. Lifeproof planks can not be installed over laminate planks or any floating floor. The laminate must be removed. Can this be installed in a cottage that has heat during winter but only to 7 degrees Celsius? What are the recommendations for temperature ratings? Also can it be installed over an existing sheet vinyl floor? I have a new construction with 3/4&quot; plywood subfloor that needs to be built up another 3/8&quot; so the vinyl floor is flush with an adjacent concrete floor. What product (and how) would you suggest be used to build up the 3/8&quot; for under the vinyl plank? Thank you for your question- Luan would be fine to use.